Customer is eligible for a full refund, excluding the shipping cost, on all items purchased only if these items have been returned to Air Purifier Repair unused, in brand new condition, with original packaging. 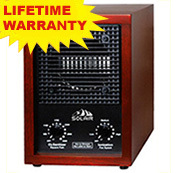 These items must be sent back to Air Purifier Repair no later than thirty (30) days from the sale’s date. Refund may only be issued after Air Purifier Repair receives the original items back and determines that these items are still in like-new condition, items are not missing any packaging, not missing any parts, does not appear used, have not been scratched, dirtied or damaged. 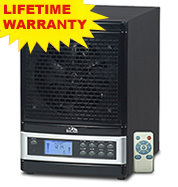 Customer is responsible for loss or damage of shipment to Air Purifier Repair. All claims for damaged or lost shipments must be filed with the respective shipping carriers. All online transactions in our store are handled with industry-standard Secure Sockets Layer (SSL) encryption. When you enter your credit card number and personal information into the order form, it is transmitted across the Internet in an encrypted (scrambled) form, then decoded when it gets to us. This provides a secure online shopping environment. We do not share customer information with any other companies or agencies. Air Purifier Repair might inadvertently display products bearing registered trademark, copyright or other proprietary matter not belonging to Air Purifier Repair. By doing so Air Purifier Repair does not represent that it is a rightful owner of such items or of such intellectual property in any way. All intellectual property, including trademarks, copyrights, patents, etc., is property of its respective owners. Recommendations given on this web site are opinions based on experience and should not be taken as facts; they might be different from what the submitted product’s owner’s manual(s) suggest. Accessories offered for sale on this website are not manufactured by their air purifier’s manufacturers. 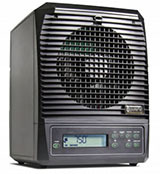 Most parts and accessories offered for sale on this website are manufactured exclusively for Air Purifier Repair. Although great care is taken to ensure accuracy, this website and related publications may contain errors. Visitors are advised to validate any information that they feel is important with reliable third-party sources, before relying on it. Neither the owner of this website nor any Internet company involved with the hosting, storage or transmission of this website, can accept any liability for any loss, damage, injury or death caused to any person or property as a result of using the information given on this website or related publications, no matter how the incident occurred. If you cannot accept this disclaimer, you may not use any such information or services provided herein and must leave this website immediately. By ordering services, products and/or accessories advertised or sold through Air Purifier Repair, the customer or perspective customer is consenting to all the terms and provisions governing the services and products associated with Air Purifier Repair. This policy and all its subparts constitutes the entire and final agreement between Air Purifier Repair and the customer and/or perspective customer which may not be altered or amended by any oral modification irrespective of whether the terms of the proposed modification are directly at variance with the terms contained herein or whether they serve to supplement the terms of this agreement. A written modification of this agreement will only be considered valid in the event it is signed by an agent or a representative of Air Purifier Repair.